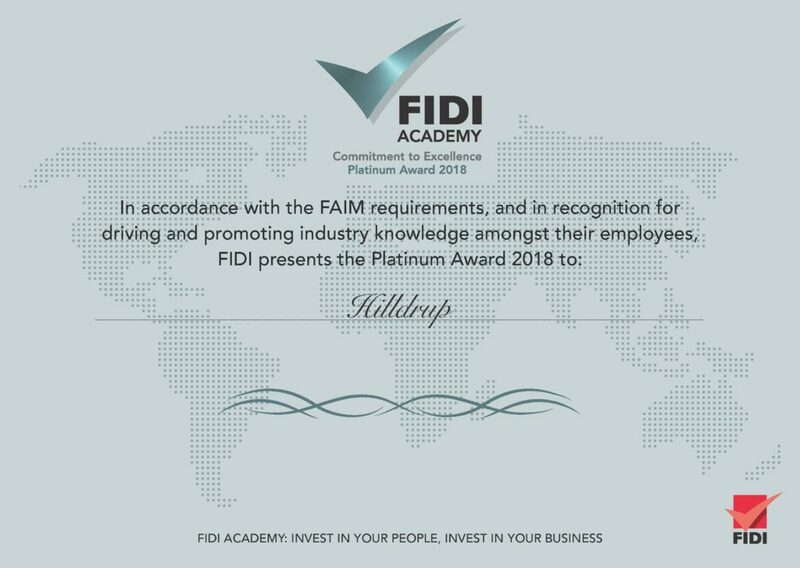 Congratulations to Hilldrup’s international team for earning the FIDI Academy Platinum Award in 2018! FIDI is the global alliance of professional international moving services companies, specializing in international moves, according to the best quality standards. From participating in a FIDI Academy international packing course, to obtaining additional Essentials in International Moving (EiM) certifications, Masters in International Moving (MiM) designations and Leaders in International Moving (LiM) forums, Hilldrup is always investing in the career development of our employees. By providing the best training and resources to our team, we can thereby deliver the best service to our customers in return. We look forward to the 2019 FIDI Conference which will take place in Amsterdam from March 31st to April 3rd where Hilldrup will be recognized for this achievement. More to come on this conference soon!